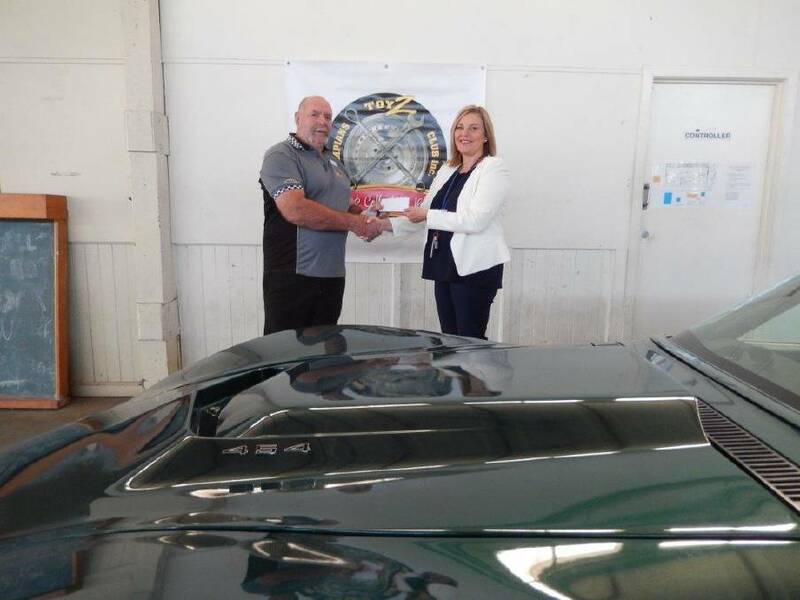 Home > Uncategorized > RSL, CWA and Grampians Toy Club support Stawell Regional Health and Murray to Moyne’s Stawell Sprockets. RSL, CWA and Grampians Toy Club support Stawell Regional Health and Murray to Moyne’s Stawell Sprockets. We receive lots of support from local businesses and we are very grateful to them. We also receive support from charitable organisations. This year from Marnoo CWA, Lions Club of Stawell and Grampians Toy Club. The Lions Club don’t just support us financially, they also support Murray to Moyne organisers directing traffic when the riders come through town, notifying the police that the event is coming up and helping to make sure that everyone is safe. Kevin Damon from Grampians Toy Club hands a cheque to Libby Fifis Acting CEO Stawell Regional Health. 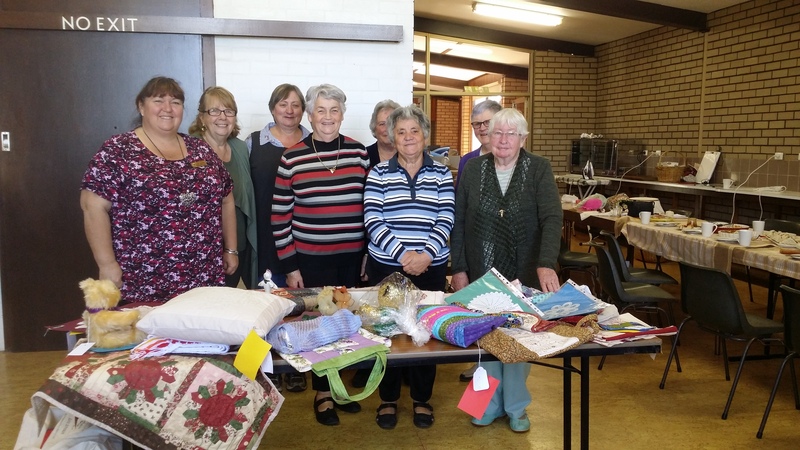 Ladies from Marnoo CWA who have supported the Stawell Sprockets fundraiser for Stawelll Regional Health for many years. 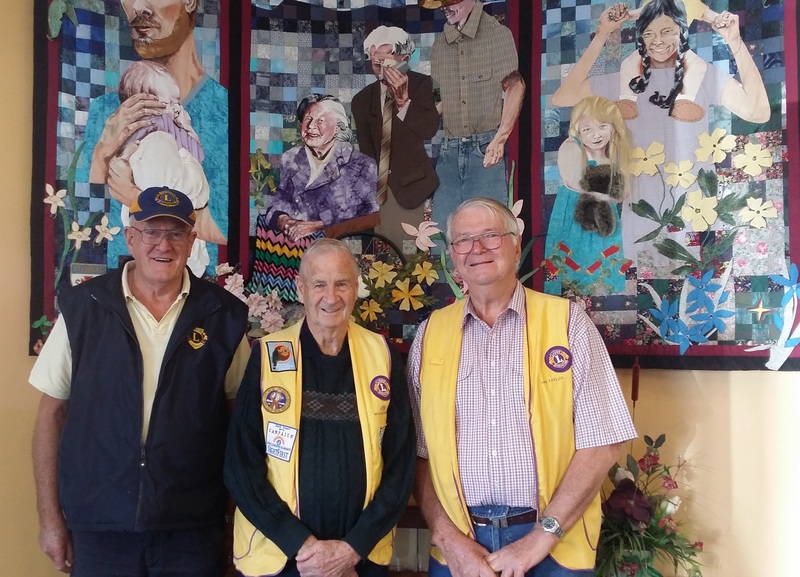 Left to right: Stuart Beasley, Max Kennedy and Ian Taylor representing the Stawell Lions Club who have supported Stawell Regional Health and Murray to Moyne for some time.